Pat of Silver Bush tells the story of Patricia Gardiner; who hates change of any kind and above all loves her home; Silver Bush. She very much enjoys living there with her loving family and their housekeeper Judy Plum; who has a magical and mythical tale to suit any occasion. However Pat must learn to cope with the tragedies and changes that disrupt her warm and happy home. 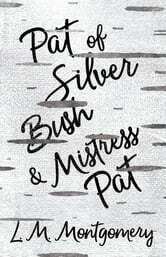 Mistress Pat is the sequel to ‘Pat of Silver Bush’. Patricia Gardiner is now in her twenties and loves her home; Silver Bush; as much as ever. She continues to despise change almost just as much as in her younger years; but nevertheless; change is on the horizon. 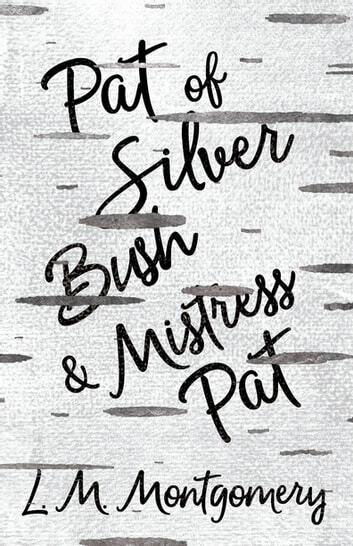 Pat has plenty of admirers who would be only too glad to provide her with a home elsewhere; but with her love of Silver Bush so strong; will she ever be able to give romance a chance?